Purple Urkle is a mysterious strain whose origins have somehow become a riddle that even the best growers and marijuana retailers still know nothing about. Considered an extremely popular California strain, this indica has origins in Mendocino Purple, but also possibly in Granddaddy Purple. Whatever its true origins, this strain is well known for its flavor combination and its effects on pain and headaches. However, it is also well known for its significant difficulty in growing. Though many indicas might be seen as simple to try and grow yourself, a combination of difficult feedings and rigorous techniques required for a high yield make Purple Urkle a tough strain to produce at home. What you really need is some kind of guide to provide steps and tips, so as to help make the process easier; if only someone, somewhere, could make one. 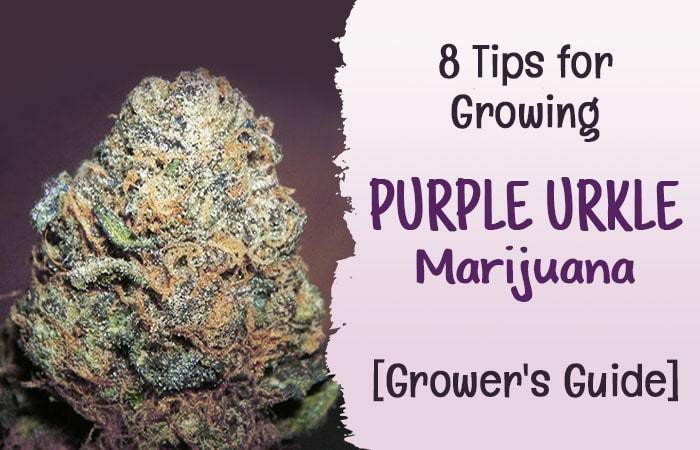 Here are 8 tips to help you in growing your own Purple Urkle. Purple Urkle is relatively consistent with other purple strains in its flavor and its effects. You can expect a wholesome, smooth-tasting experience coupled with an extremely mellow high.